FitMiss Delight Review (Updated 2019) – Is It Safe? 6. Is FitMiss Delight Worth Trying? A powdered nutritional shake that is inexplicably only aimed at women, and uses a lot of artificial flavoring and sweeteners. Our full breakdown with explain all the relevant details of FitMiss Delight and reveal if it is worth your consideration. Follow this link for meal replacement shakes that are worth your consideration with our new top 10 list. FitMiss Delight is a complete protein shake that is designed specifically for women. Its primry goal is to help women lost weight through its blend of fruits and vegetables, and a high protein, low calorie approach, but strangely it does not specify why the shake is only appropriate for women and not everybody. The product is manufactured by a company named MusclePharm, whose Better Business Bureau page is full of complaints from users who have had difficulty getting in contact with customer service. FitMiss Delight is a powder sold in tubs that cost $29.24 and comes in seven different flavors. Click here for a thorough explanation of the top 10 meal replacement products that are available for purchase now. The advertising for FitMiss Delight highlights a 100% satisfaction guarantee or your money back if returned within 30 days. However, as we mentioned, the Better Business Bureau page for the company indicates that many consumers have had issues getting the company to honor this guarantee. Beyond that, the claims made by the manufacturer are pretty straight forward. They state that the shake will keep users feeling fuller for longer periods of time, as well as delivers a full day’s essential vitamins and nutrients. The blend of fruits and vegetables are supposed to improve digestive health as well. Unfortunately, these are all just words, and there is nothing to support the numerous claims they make, or explain why the formula is only or women. Here is a current list of the top 10 meal replacement shakes that are currently available on the market, to simplify your search. Many of the ingredients should be familiar and potentially beneficial, such as whey protein, vitamins and minerals, and flaxseed. What concerns us is the use of an artificial sweetener like sucralose, whose long-term effects are still being studied, but can potentially cause negative side effects such as nausea, bloating, and gas. Meanwhile, acesulfame potassium is another artificial sweetener that could potentially have a damaging effect on the user’s immune system. We would advise that you look over our most recent top 10 list of meal replacement shakes before making a decision. The product description through the FitMiss Delight website takes the time to explain the importance of each aspect of the powder formula, but they do not offer any science to back up their claims. For example, they state that the “combination of healthy ingredients works together, synergistically, to provide nutritional support for lean muscle tissues, fast loss and increased energy.” This all sounds good, but there is no verifiable evidence offered or clinical studies mentioned to support these conclusions. Provide your body. with the tools it needs to facilitate weight loss with one of the top 10 meal replacement shakes. The powder is sold through several well-known retailers, so there are plenty of objective consumer reviews that are available online. Currently on the product Amazon page, there are over 4,000 consumer reviews. Sounds like you’re better off with a tested, effective meal replacement shake, like those among our top 10 list. Is FitMiss Delight Worth a Try? FitMiss Delight is a strange protein powder shake, because it makes a point of being strictly for women, but nothing in the advertising or according to our research suggests that it would only be effective for women and not men. This naturally leads us to wonder why they don’t want men buying their product, and just makes us suspicious in general. As for the product itself, there are too many artificial sweeteners for us to recommend, as they can actually make weight loss more difficult. Furthermore, the reviews that we read were largely negative and either complained about the taste or about the lack of effectiveness from the product. If you’re looking to lose weight safely, take a look at our list of the top 10 meal replacement shakes available now. IdealLean is another powdered protein shake that is specifically designed for women, but unlike FitMiss Delight, it actually provides some detail as to how it specifically addressed women’s needs. That said, FitMiss is considerably cheaper, and both product have received middling reviews from consumers. There are more flavors of IdealLean offered than FitMiss. Shakeology is pretty straight forward about its goals for benefitting users, such as losing weight, reducing junk food cravings, and increasing energy, and it is intended for both men and women. That said, the it is one of the most expensive meal replacement shakes that we have come across, and it is difficult to decipher why it has such a high price based on its list of ingredients. Vega One is a meal replacement shake whose primary difference from FitMiss is that it is entirely organic. One of FitMiss weaknesses is that it contains too many artificial flavors and sweeteners, while Vega One has none. That said, there have been complaints about the taste and price of Vega One for some time. It would seem that potential users would be best served looking elsewhere. Is FitMiss Delight only formulated for women? According to the manufacturer, the product is only for women, but it is not made clear why. Can FitMiss Delight only be purchase as a powder? Yes, FitMiss Delight is only available as a powder. How much protein is included in each serving of FitMiss Delight? There are 16 grams of protein that are included in each serving of FitMiss Delight powder. Are there side effects that can occur when taking FitMiss Delight? Potentially, bloating, nausea, diarrhea, and long-term damage to organs can occur. Are there coupons available for FitMiss Delight? It does not appear that there are any coupons currently available for FitMiss Delight. Who is the manufacturer behind FitMiss Delight? FitMiss Delight is manufactured by a company named MusclePharm. How often are you supposed to take use FitMiss Delight? It appears that users are only supposed to take one scoop of FitMiss with water per day. Educate yourself regarding the best meal replacement shakes that are available now through our top 10 list. As you age, maintaining a healthy weight, and preventing weight gain becomes increasingly more difficult. There are countless options that are advertised all over the market, but the reality is that not many of those weight loss products deliver consistent results. 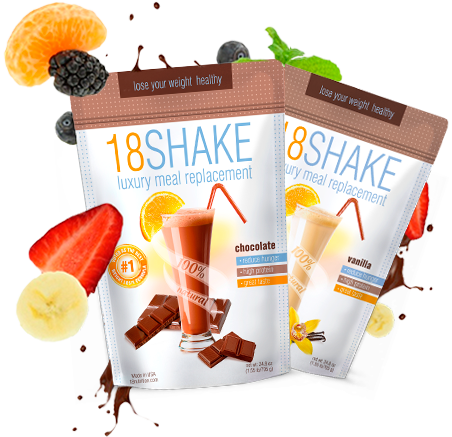 Therefore, we are cited to introduce consumers to 18Shake, a scientifically formulated powdered meal replacement shakes, that combined a great taste and effective appetite suppressants. Additionally, the formula includes healthy doses of over 20 vital vitamins and minerals, and is high in protein, so their approach to weight loss is healthy. Based on the reviews from consumers who have tried 18Shake, it is convenient to use, tastes good, and can start to show results in a matter of weeks. To find out how 18Shake is so effective, follow this link to the product’s official website which will provide all the relevant details.